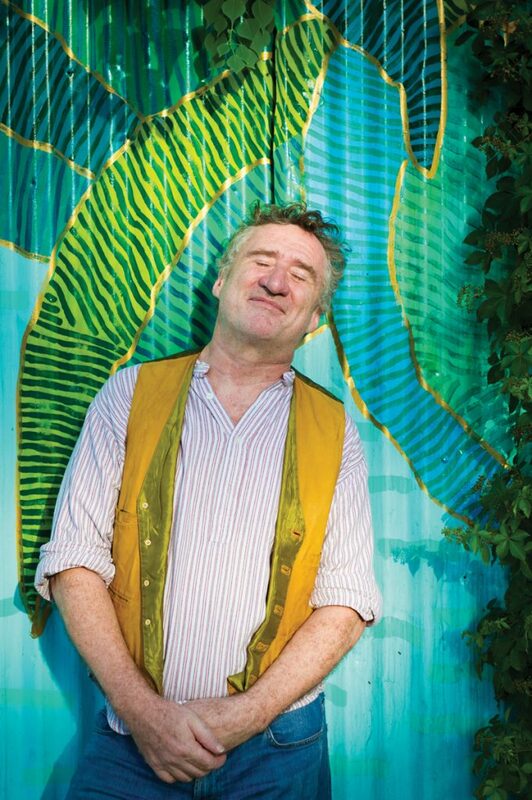 “I think if I have any talent at all, it’s for picking good guys to play with to make me sound good,” Jon Cleary says, then laughs and takes another sip of his tea. 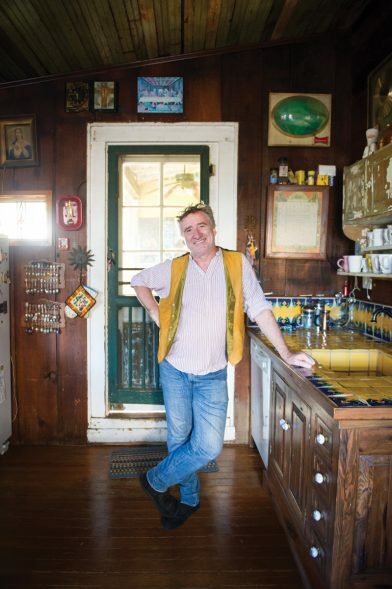 The Grammy-winning pianist, vocalist and composer still retains that ritual of his British birthplace, though musically he’s long fully embraced the sounds of New Orleans, his residence since 1981. 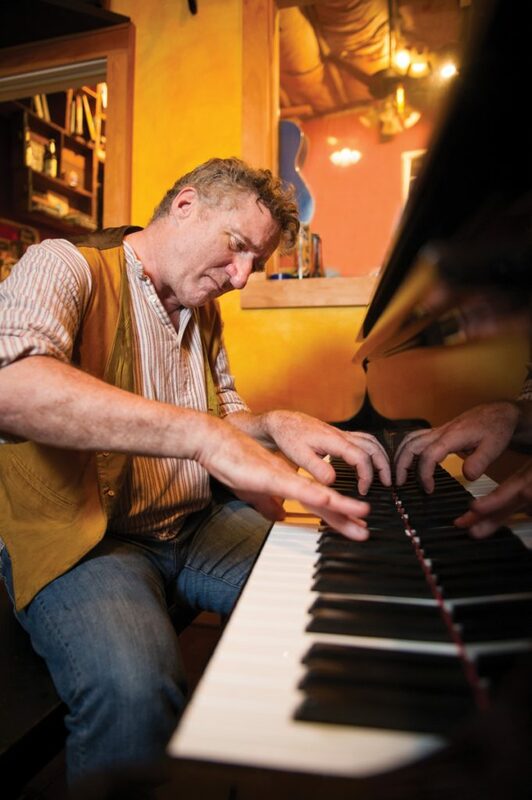 Cleary stands as the keeper of the flame in the remarkable lineage of pianists such as Professor Longhair, Allen Toussaint, Dr. John, James Booker and Henry Butler. He also faithfully revisits classics from rhythm and blues giants like guitarists Snooks Eaglin and Earl King and vocalists Ernie K-Doe and Lee Dorsey. As a pianist who also sings, Cleary is very much aware that it is up to him and others like Davell Crawford to keep the material from this city’s rhythm and blues heydays alive for future generations. 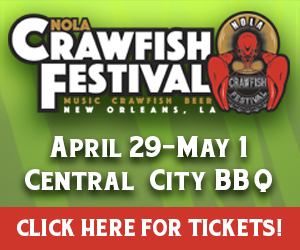 Surrounding himself with talented musicians has been Cleary’s signature from the time he first moved to the city and continues to today as heard on his formidable new album, Dyna-Mite, which is loaded with New Orleans top artists. Back in the day, when he was just starting to gig in New Orleans, he realized that it was the veteran musicians who, at the drop of a hat, could play the old songs with which he was familiar. Younger cats certainly might have been capable of playing them, though lack of a budget for rehearsals often thwarted that option. Another essential for Cleary was that the members of his band were also vocalists. The guys in his first group, the Absolute Monster Gentlemen—bassist Cornell Williams, guitarist Derwin “Big D” Perkins and Jeffrey “Jellybean” Alexander—who came out of the gospel community, definitely fit that critique. The same can be said about the core artists on the new album as well as Cleary’s very busy touring band, which includes drummer/vocalist A.J. Hall and longtime running mate bassist/vocalist Williams. “With three voices you can cover the essential ground to harmonize and paint a full picture,” Cleary says. When the budget allows, keyboardist, organist, and of course, vocalist Nigel Hall, who Cleary connected with after discovering their mutual admiration for vocalist Donny Hathaway, is also on the bill. “With four voices, the harmony really gets interesting,” he notes. 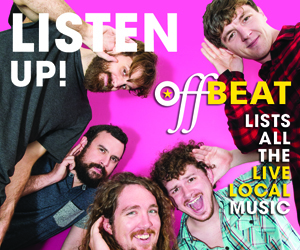 Talk about “catchy little hooks”: The title cut embraces them—New Orleans style—in abundance rhythmically, melodically and lyrically. Cleary references the piano of Professor Longhair, plus there’s the Meters-esque guitar of Leo Nocentelli. Straight off the streets is the repeated refrain, “Don’t tell nobody,” that is most associated with the tune “I Got a Big Fat Woman.” Despite those and other elements that are highly associated with New Orleans, the song remains uniquely devoid of too often–used clichés. Cleary was able to accomplish this because of his deep knowledge and respect for the city, its music and its musicians. On the album, Cleary’s piano and vocals often enjoy the luxury of being backed by large ensemble complete with the duo rhythms of drummer/vocalist Jamison Ross with percussions supplied by A.J. Hall. The two outstanding musicians are teamed in the rhythm section with the solid bassist/vocalist Calvin Turner. When the horn section kicks in, as it does on the opener, it boasts a full complement of the essentials—trombone, saxophone and trumpet. Naturally, it’s financially impossible to take a band of this size on the road, yet Cleary says because of the song’s nature, it can hold its own in a smaller setting. Cleary’s piano and vocals continue to dominate the sound and groove of Dyna-Mite while he turns not only to the guitar but also the Hammond B-3, Wurlitzer, clavinet bass and even drums on numerous cuts. In fact, on the humorously titled “Big Greasy” Cleary plays all of the above; Jamison Ross came into the studio to overdub the drums on top of Cleary’s creation that included a drum loop. It’s a little gem of a reggae number and of the album. It has all of the crucial elements—melodically, rhythmically, vocally, lyrically and basically stylistically—of what makes reggae reggae. Though that line—a truism for many—might bring a smile, Cleary remains seriously concerned about some folks’ intent to “clean up” the city, which they often see as closing down bars and joints with live music that in many cases have existed for years. The atmosphere gets a bit more sophisticated on Cleary’s soul ballad “Best Ain’t Good Enough” that opens powerfully, with him advising, “If you’ve got a good thing my friend, mmm, mmm, hold on tight,” while his B-3 effectively backs his preaching. Its late night quality is reminiscent of a tune that could show up in the songbook of guitarist/vocalist Walter “Wolfman” Washington, who was an important factor in Cleary’s early career in New Orleans. Cleary and Washington first met back in the winter of 1984 when the pianist was playing at Benny’s Bar with vocalist Mighty Sam McClain and Washington stopped by one night and sat in with the band. “We hit it off straight away and he asked me if I would come and play with him at Dorothy’s [Dorothy’s Medallion Lounge] with Johnny Adams,” Cleary remembers. The pianist made his first tour with Wolfman heading down the road in a station wagon to play small, black barrooms in Mississippi. The group, which included drummer Wilbert “Junkyard Dog” Albert, was first dubbed the Solar System band and then became, suitably, the Roadmasters. “I think I was hard-wired—or pre-wired—for certain things,” Cleary suggests. “It was almost like hearing something that I had to hear because my receiver was already tuned into that wavelength.” On listening to Dyna-Mite, or any of his recordings or live shows, those elements that perked up his ever-ready ears become apparent as they’ve become a part of him. Cleary was just a youngster when he was introduced to the power of vocalist/guitarist/composer Taj Mahal, who would later play a major role in his life. He offers a bow to the legendary bluesman by including a tune on Dyna-Mite that they wrote together, the swaying “21st Century Gypsy Singing Lover Man,” a lament on leaving a sweetheart when the road and music calls. The tune was on Mahal’s 1997 Señor Blues with Cleary on piano. Cleary hit it big time with that offer. Not only would he be recording with Taj Mahal, who he had admired for so long, but it also enabled him to get the visa to return the U.S. and thus get back to New Orleans. Cleary’s piano and vocals are at the heart of most of the material on Dyna-Mite, though he doesn’t often take center stage as a soloist. Perhaps that’s what makes it somewhat amusing that at the very end of the final cut, the lively and very catchy, “All Good Things,” he takes it out with a full-minute of solo piano. Cleary also takes full advantage of all the great singers in the band’s ranks. The harmonies really give the tune meat. Cleary describes his recent touring schedule—which includes performances with longtime associate Bonnie Raitt both nationally and internationally—as being “a bit of a blur.” He’s been jumping from country to country and city to city playing barrooms with a capacity of approximately 60 patrons to being in front an audience of 60,000 at London’s Hyde Park. He describes performing in an over-2000-year-old amphitheater in Pompeii as totally mind-boggling. It could be considered a lucky break that Cleary will be home in New Orleans long enough to do two shows in October. On Friday, October 5, he’ll celebrate Dyna-Mite’s release at the Maple Leaf at a gig dubbed “Jon Cleary & Friends.” Drummers Jamison Ross—who’s on the album though he no longer tours with Cleary as his solo career skyrocketed—and A.J. Hall will be on the scene, as well as bassist Cornell Williams. All of the horn players blowin’ on the disc are invited to jump onboard. The following day, Cleary and his trio head across the river to perform at the Algiers Fest with special guest Walter “Wolfman” Washington. While Cleary might drink a cup of hot tea on a sweltering summer afternoon rather than an iced sweet tea, the British native speaks of this city and its music much like a native son.